At the height of the Inca Empire both types were being selectively bred in large numbers to provide a very luxurious fibre, which in turn was processed into fine garments to be worn exclusively by the Inca nobility. In a society without money, textiles were currency and to breed excellence for the ruling nobility was possibly one of the main ways to gain grace and favour. These breeding programs were totally destroyed at the time of the Spanish Conquest of South America. The colonists slaughtered the alpacas and llamas for food, introduced horses, replaced the alpaca herds with sheep and cattle and displaced the indigenous human population. The result of this bloody and apocalyptic process was that the alpaca was displaced to the high alti-plano above 4,000 metres and beyond, and the sophisticated husbandry and breeding programs disappeared into the mists of time along with many other facets of the Inca culture. Since that time until quite recently the animals were bred for expediency rather than quality and the genetics of alpaca and Llama became intermixed producing, animals of lesser quality which carried the traits for all the camelid species. However, the animals survived, adapted and continue to provide sustenance, warmth, fuel and a surplus of fibre which could be turned into textiles. The breeding programs of the indigenous peoples were until the last century based purely on quantity of fibre produced. In the 1950s, realizing that they had a large resource sitting somewhat underused, some South American breeders began to instigate more sophisticated breeding programs to separate off again llama from alpaca and start improving the quality of their herds. This is an ongoing situation that is a mammoth task on the high alti-plano, where conditions are primitive and grazing, as we recognise it, is at a premium. Despite these obstacles over the last 50 years a thriving and sophisticated alpaca industry has emerged in Peru, based in Arequipa, to service the increasing world demand for alpaca fibre and product. The large processors are very active in encouraging the development of one of South America's important natural resources and great strides have been made in fibre processing and manufacturing for a demanding world market. Today there are over two million alpacas in South America, yet it is hard to see how, without investment on a grand scale, the alpaca population can increase dramatically. Grazing is sparse, conditions are harsh. there are many losses during their harsh winters and the young people flock down to the cities where their university education can provide a lifestyle their parents can only imagine. 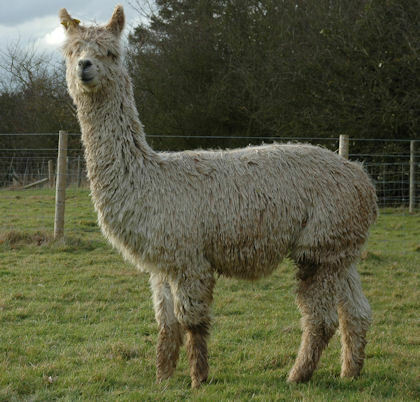 The alpaca is still on the whole farmed using techniques that are embedded deeply in the culture and primitive lifestyle of the indigenous people. Quantity rather than quality, still predominates as breeders are paid by weight for the fibre they produce. 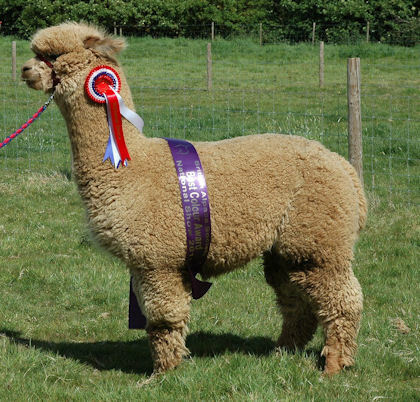 This is an issue that is only slowly being addressed today as the major processors of South American alpaca fibre realise that they must try and provide incentives to improve fibre quality. Yet the task is a huge one and not to be underestimated in a high altitude environment that is inhospitable and in a large part inaccessible. The rest of the world will never compete with South America on quantity of fibre for many years to come but on quality it is already making rapid progress .